Federated is partnering with Repair Shop Websites to help Federated CCCs increase their car count. 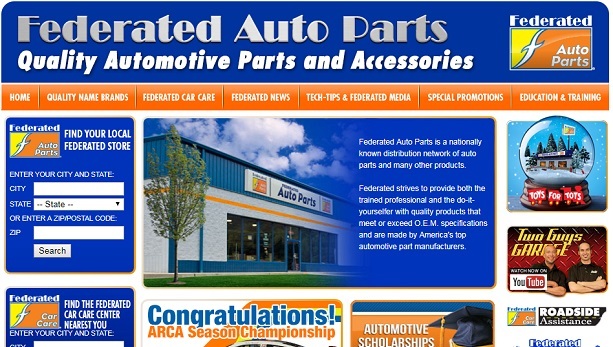 We are delighted to be partnering with Federated Auto Parts to help their Car Care Center program members increase their sales through professionally-designed websites built to get them found online and contacted by new customers. Repair Shop Websites has been helping automotive repair shops grow their business for more than 13 years. Our 2,100 customers and 95% customer retention rate demonstrate the value we provide to repair shops across the United States. Federated branding on the website to enhance your shop’s image. Your website includes Federated Nationwide Warranty and Roadside Assistance programs information, with automatic updates. Repair Shop Websites has been awesome! They keep us near the top of searches and the site looks great! We get many positive compliments from our customers about our site. It has given us opportunities that we would not have otherwise had.